Bolivia is not inmune to bad, unethical business: plastic rice has arrived! We as consumers must now be more alert than ever. Smuggling and lack of control from proper authorities makes us extremely vulnerable. Beware! 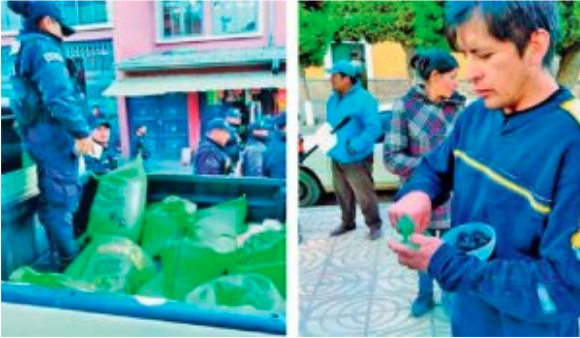 According to a note published in the digital newspaper “El Potosí”, citizens Sandra Mendoza and Carlos Nava reported that in the Vicuñas de Potosí market, they sold rice mixed with the so-called “plastic rice”. The woman explained that they found that the product had a different smell than the known rice and asked her husband to verify if it was not “plastic rice” and with surprise they saw that the product put in a pan melted and was converted into a portion hard and black as if it were coal. LEFT: PRODUCT REMOVED FROM THE MARKET BY THE INTENDENCIA. RIGHT: REPORTER SHOWS HOW THE RICE HAS BEEN MELTED AFTER BEING PLACED IN A FRY.